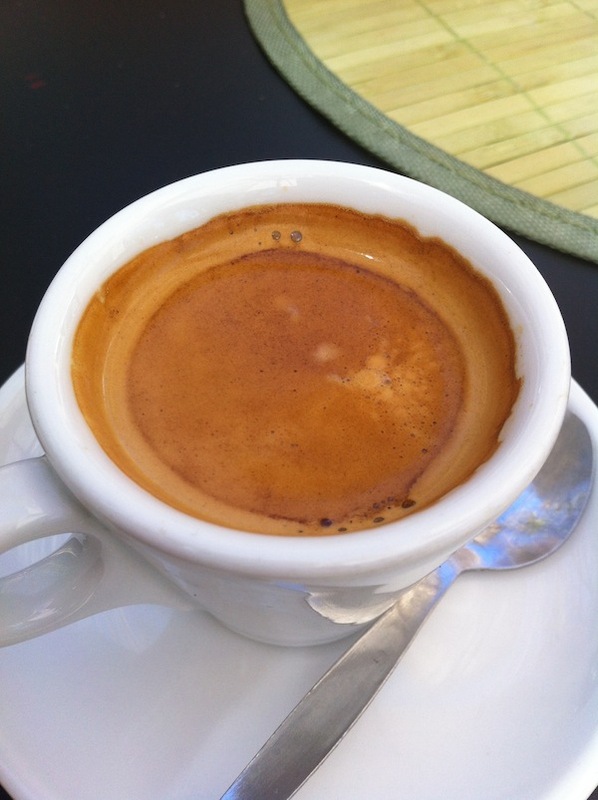 The Frenchman's Food & Wine Blog: The best coffee in Namibia! The best coffee in Namibia! Every time I go back to Fresh N Wild, that little oasis of calm and relaxed sophistication in Windhoek, Namibia, I discover a new delight. This time around, it's the quality of the coffee. I popped in for a quick breakfast and ordered an espresso with my breakfast, and had a very pleasant surprise when it was delivered to my table. Yes, it was overly topped up to the rim (there seems to be a thinking in Africa that more is better, but in the case of espresso, less is really more ... next time try pouring only half an espresso cup for a more intense flavour), but it did sport a thick and rich crema, with an aromatic cocoa-like fragrance. And when I sipped at it cautiously, worrying that this coffee might well be the proverbial mutton dressed up as lamb (I've had way too many over-diluted, weak coffees), I was again pleasantly surprised with the thickness of brew. The clincher was the flavour - a pleasantly complex flavour of coffee-cocoa ending in a hint of lemony citrus notes. Wow! Well done Fresh N Wild: officially the best coffee in Namibia! I popped in for a quick breakfast best espresso coffee machine and ordered an espresso with my breakfast, and had a very pleasant surprise when it was delivered to my table.